I remember spending every weekend at the Creens’ home while I was at college. I stayed in a hostel and the Creens’ opened up their home, ensuring I was a part of family gatherings and celebrations because they knew I didn’t have any family closeby. The feeling of love and belonging impacted my life in such a big way, making me vow that I would do the same whenever I had my own home. While I try to do this as often as I can, I would be lying if I didn’t admit that there are days when I would love to host friends at our home but just don’t have the drive to whip up a home cooked meal. Instead of giving up the opportunity to spend time with a friend or friends who may really just need the company, I’ve learned to take Hubs’ advice and cater a meal from out or go out for dinner with them. 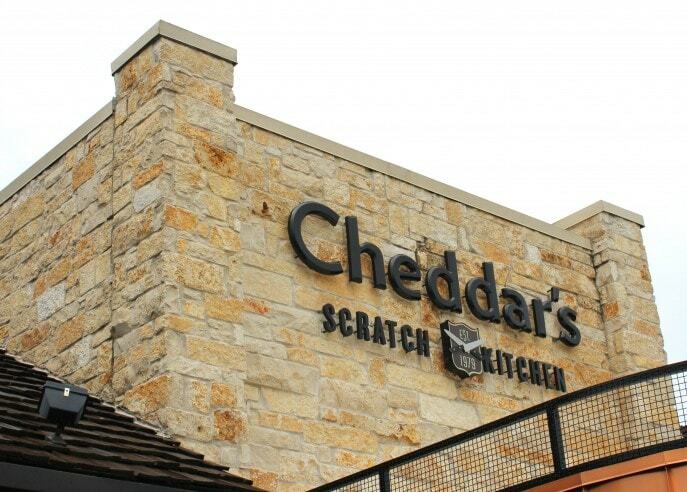 June 8th was National Best Friends Day and Cheddar’s Scratch Kitchen is encouraging everyone to invite a friend and head on over to the closest Cheddar’s to enjoy a delicious meal and great fellowship. 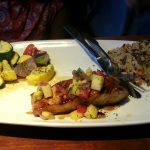 Thanks to a visit to our local Cheddar’s we were able to experience the cooked-from-scratch experience and left making plans to frequent the restaurant more often. great flavors, good food, generous serving sizes and warm hospitality. Your first visit can be a little overwhelming when you look at the menu. The craving to order everything you read off the menu can be strong but to narrow down on choices, choose from one of the chef-recommended specials, highlighted in the red boxes on the menu. We ordered different ‘red boxed’ items to ensure we were all able to sample at least a tiny portionof Cheddar’s cream. 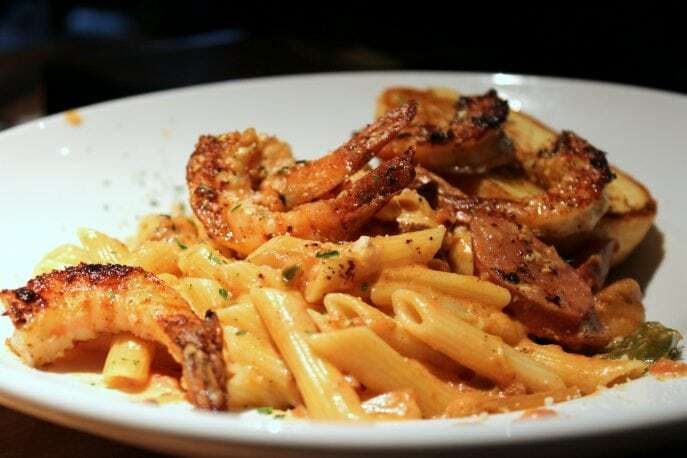 Cheddars Scratch Kitchen’s New Orleans Pasta is an incredibly generous sized dish with smoked sausage, large shrimp and chicken, served in a creamy, Cajun Alfredo sauce, on penne pasta, with garlic toast. 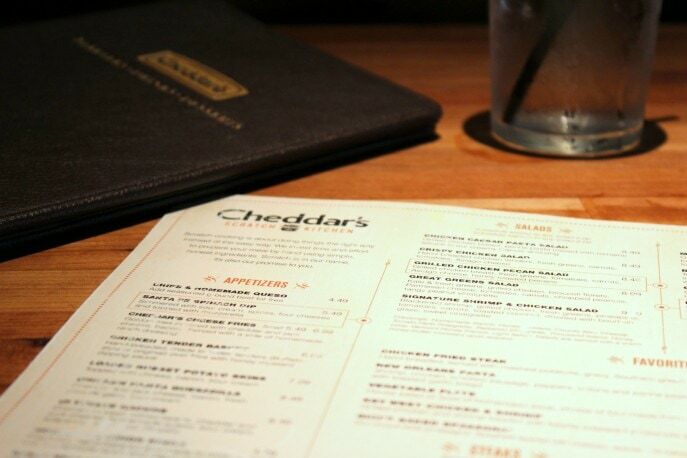 What would you order off the Cheddar’s menu with friends? 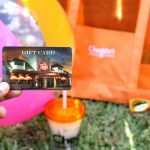 Leave a comment letting me know what you would choose for a chance to win one of two $25 Cheddar’s Scratch Kitch gift cards. Don’t forget to plug in your entry, in the Giveaway Tools form below and mark off those additional chances to win. 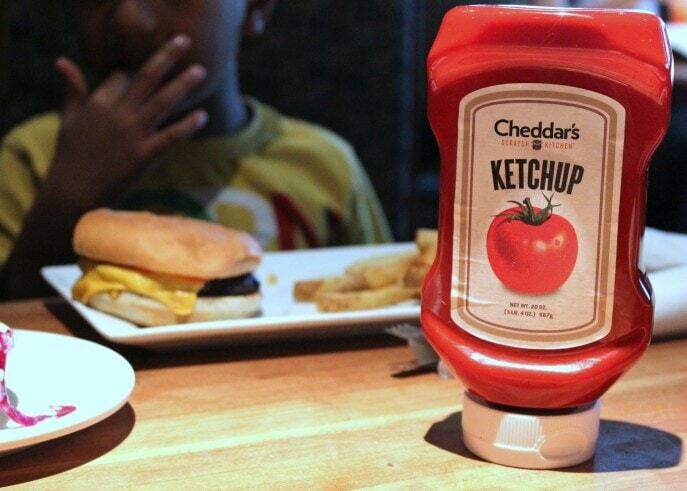 We love Cheddars! I would like to have the steak & shrimp with mashed potatoes and steamed broccoli. I would order potato skins to share with friends…and a Buffalo Chicken Wrapper for myself! Their hamburgers are AWESOME & the chicken strip dinner is enough for 2 people! I would totally order the homemade chicken pot pie. 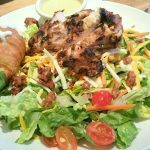 Cheddars is my favorite restaurant – we were just there (Lufkin) yesterday! I love the steak combos – with Chicken Tenders or Shrimp. I always order the Kale Salad, Broccoli Cheese Casserole, Sweet Potato Casserole! The Top Sirloin and Steak looks delicious. I would order the chicken tortilla soup with a croissant! I would love to try the Triple Treat Sampler and Country Chicken Fried Chicken! 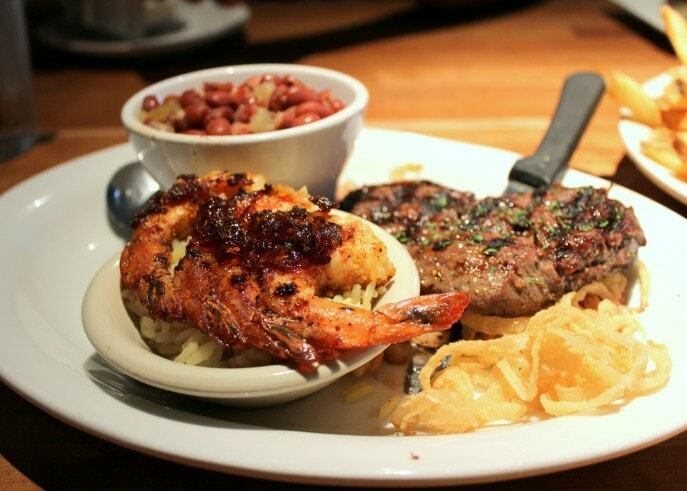 Top Sirloin Steak and Shrimp….YUMMY! 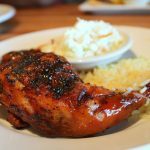 I would order the Sweet Heat Chicken and Shrimp, it sounds so delish! The onion rings is awesome! I would like to have Tilapia Fish and Shirmp…Me encanto. I would order the crispy chicken salad, yummy! My favorite thing from Cheddars is the chicken fried steak, but I would order the chicken fajita quesadillas. 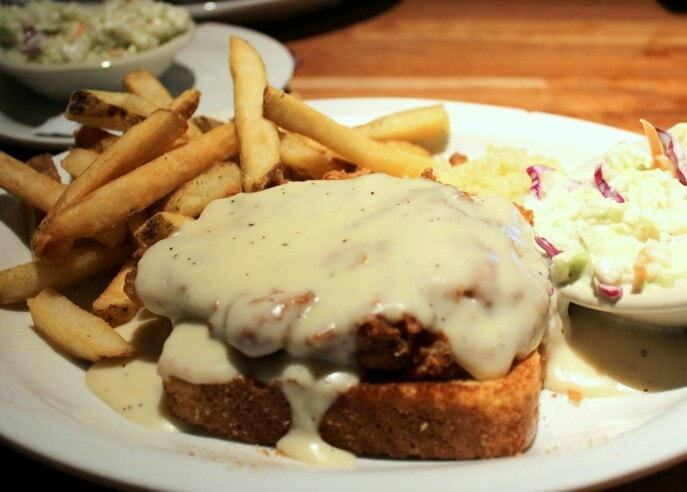 I would order their Chicken Fried Steak with mashed potatoes, southern green beans and texas toast. Yummy!